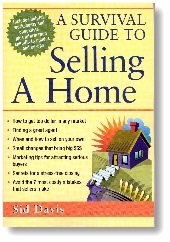 This book is written for homeowners who want to make their house and property worth more money. The book gives them a clear idea about what type of home improvement projects will give them the highest yield on their investment. It is also written for those homeowners who need the basic skills instruction: it explains, step by step, what to do as well as how to do it. I afford? What do I do first? How do I avoid common mistakes? This book answers all these questions and hundreds more. Sid wants to be sure you talk to the right people, ask the right questions, cover all the bases, and get the best possible house for your budget. Step-by-step checklists help ensure you're doing everything right, and at the right time. This book helps readers face the challenges of deciding whether or not to use an agent (and how to find one), estimating a price, and deciding which upgrades are worth making -- and which ones are not -- to add to their home's value.